When I was in the classroom, I had no idea what “sensory needs” were. Sure, I knew that every child had 5 senses. I knew that I needed to teach using different learning styles and modalities. I even knew I needed to teach to address the multiple intelligences. Unfortunately, never in my 12 years in the classroom, did I learn about how to support children’s sensory needs, let alone, what sensory needs even were. Did you know that children have more than five senses? Maybe you already knew this. I, however, was never taught about this in any of my teacher training. It was not until I co-taught in a blended preschool classroom with children diagnosed with sensory processing disorder that I began to be exposed to these systems. Even then, it was never quite clear to me that all of the students that I taught had sensory needs that needed attention. Would you believe me if I told you that there are anywhere from 11-24 sensory systems that our bodies use on a daily basis? Crazy, right? Out of those systems there are 8 systems that our bodies need to function, attend, organize, and synthesize information. Many of us already know of the basic five senses. However, let’s do a quick review. But, wait, you might be wondering about those other senses I mentioned. These two important sensory systems often get over looked, yet are so important in the classroom. Think about it…. movement and body awareness! Can you see just from those two words how these affect the behavior of children in the classroom? These two senses can be confusing to understand, which is another reason we’ve decided to turn this into a mini-series about supporting sensory needs in the classroom. If you are interested in reading more about sensory needs and the different sensory systems, I have an extensive resource of articles and posts that you will want to check out. 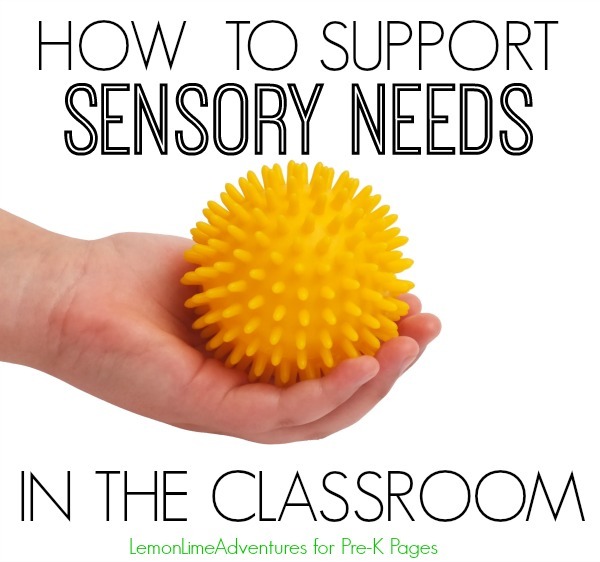 How Can You Support Sensory Needs in Your Classroom? I could go on all day about the best ways to support sensory needs in your classroom, but I know you don’t have all day to read this, so I will pick three quick things you can try today in your classroom to support the needs of all the children in your classroom. 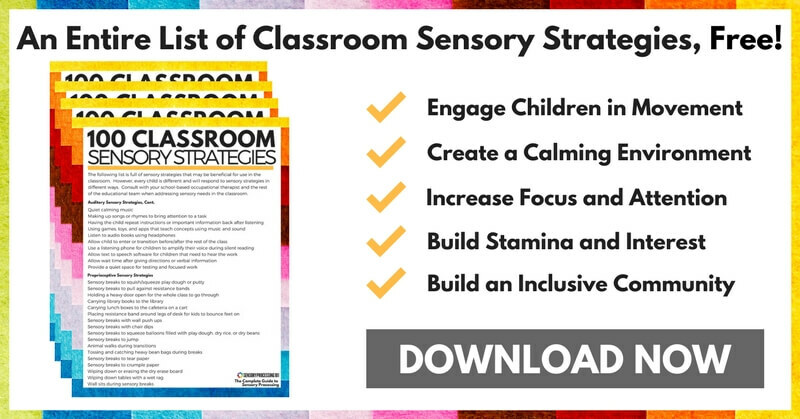 I also put together this free, printable list of 100 Classroom Sensory Strategies to help you get started. I know you are an excellent teacher, or you wouldn’t be reading this to learn more about your students. It is not a new idea to add movement to your classroom and meet the needs of your active learners, right? What you might not realize is that you are actually giving your children vestibular input and proprioceptive input through the movement activities you choose. 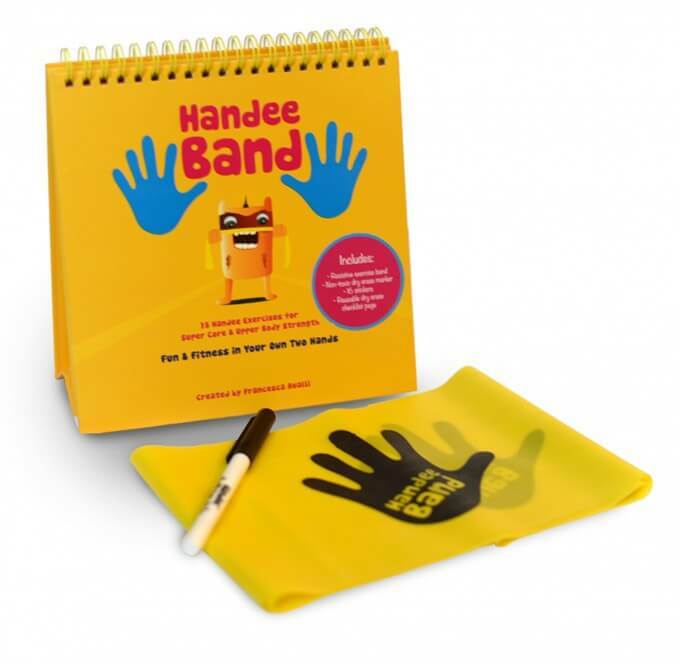 We love using the Handee Band for classroom brain breaks and for independent centers. The kit comes with 15 simple and easy to follow exercises that are in the cutest little tri-fold book. The book has a handy chart, dry erase marker, reward stickers, and a zipper bag to house everything including the Handee Stretch Band! Many of your students might have a difficult time focusing or staying still during seating activities. These children could be active or tired, or they could be seeking input for their sensory systems. Our favorite tools during center time are hand fidgets such as the Tangle and wacky tracks. The wacky tracks can be a tad noisy, so many teachers prefer to use these when students are in small groups or in centers. However, the Tangle and a stress ball can be held in a child’s hands when they are focusing on a story or listening to the teacher. 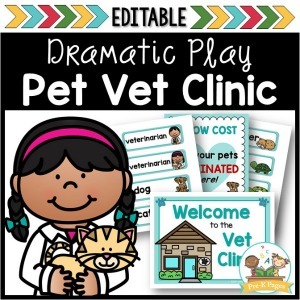 They are discreet yet engaging for children, which is a plus as well. Heavy work can be done through a variety of activities. One misconception is that heavy work involves something “heavy”. Think of it as heavy weight bearing activities on ANY of your joints and muscles. 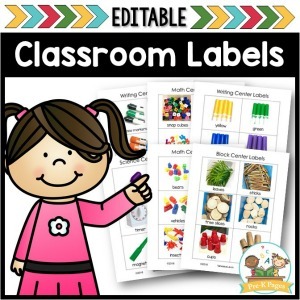 This can include chewing, cutting, writing, squeezing, pushing, carrying, and pulling. This can be done through simple chores, yoga moves or even through oral motor exercises. One of our favorite tips is to take a backpack and fill it with a 2 pound bag of rice. Put the backpack on your active child and run the stairs. They find it fun and it gives them weight bearing pressure on many of their joints. Then, during circle time, place the backpack or weight on your child’s lap. You can download a free printable of Heavy Work Chores for the classroom, home, and outside. So what do you think? Do you think you can add these to your daily routines to meet the needs of all of your children? 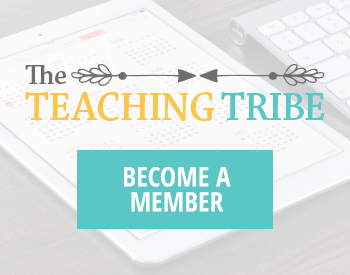 What are you currently doing in your classroom that is working? I would love to hear all about it! 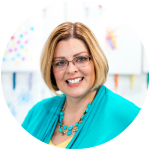 BIO: Dayna is a National Board Certified teacher, with over 12 years of experience in early childhood education, who now homeschools her 3 children, one of which struggles with Sensory Processing Disorder. She is the author at Lemon Lime Adventures and owner of Project Sensory, where she is dedicated to sharing real life stories with parents and educators about the pretty and the not so pretty days involved in raising children. 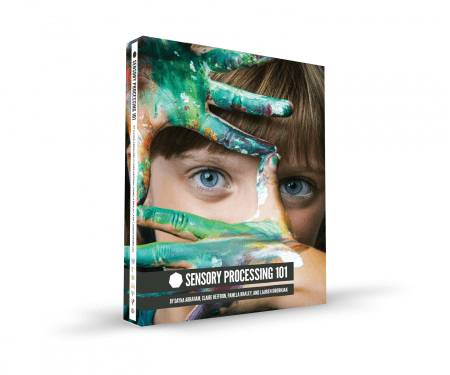 Want to learn more about Sensory Processing? 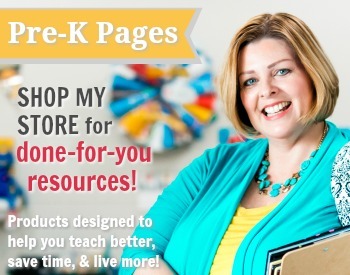 Check out her new book: Sensory Processing 101. You can connect with Dayna over on Facebook, Twitter, and Instagram! I love your post! Some of my kids in class have really strong sensory needs and are seeking input all the time. Often unexpected and cheap items provide exactly the input they need…it can be a pipe cleaner with some beads to fiddle, a backpack filled with books or a little bit of play dough to squeeze. Many of my kids change so much by just getting a fiddle toy – all of the sudden they can sit for a while, listen attentively and even participate independently. The fiddle toy is not distracting them (I think many parents might worry about that) but really helping them to reach their potential.